During this initial news conference to release his tax plan, Governor John Bel Edwards (D) promised greater detail and clarity on his proposed gross receipts tax. This week, with the introduction of House Bill 628, we have a better sense of how the governor envisions creating this new tax. In short, it’s complicated. The new gross receipts tax in Louisiana would function as an alternative minimum tax to the state’s corporate income tax. Firms would pay the higher of their tax liabilities under the corporate income tax or the gross receipts tax. But it isn’t quite that simple. 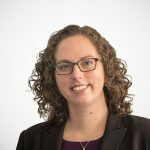 First, firms would calculate their gross receipts tax liability two ways: firms with receipts above $1.5 million would pay 0.35 percent of all receipts, while firms with receipts between $150,000 and $1.5 million would pay a set amount based on tiers. Then, firms compare their gross receipts tax liability to their corporate income tax liability and pay the higher of the gross receipts tax or corporate income tax. For firms “engaged” in “merchandising or manufacturing or gaming,” it is even more complicated. If receipts are between $150,000 and $1.5 million, firms would pay the set amount based on the specified tiers. Otherwise, they would calculate their gross receipts tax liability of 0.35 percent of all receipts. But, now, they have to add another step. These industries would also calculate their gross profits–gross receipts minus costs of goods sold–and assess a tax rate of 2.76 percent. The firms would take the smaller of gross receipts or gross profits, then pay the higher of the gross receipts/gross profits tax liability or the corporate income tax liability. 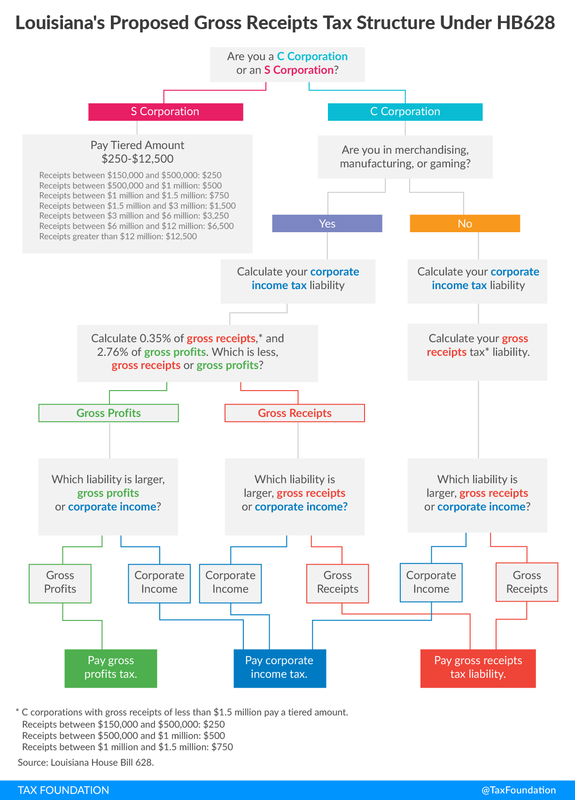 The flow chart below illustrates the incredibly complex tax structure laid out under this proposal. The flaws of gross receipts taxes are well documented. The tax pyramiding, coupled with non-neutral, makes it an undesirable tax type. But in this case, the proposal is even worse. This plan is a nightmare. It will add significant compliance costs to the state’s tax code, while retaining all of the flaws of Louisiana’s corporate income tax. The way to fix Louisiana’s corporate income tax isn’t to make it more complicated by adding multiple new layers of tax to it. This plan is a complex mess.